Nathan is a recording engineer, bassoonist, and bassist on staff at Excello Recording in Williamsburg, Brooklyn. Nathan started his career playing orchestral bassoon and electric bass, studying with Michelle Rupert and U.S. Marine Band principal Glenn Dewey in northern Virginia. After relocating to Boston, Nathan graduated from the Berklee College of Music with a degree in Music Production and Engineering, while continuing to study bassoon with Margaret Phillips of the Boston Symphony. 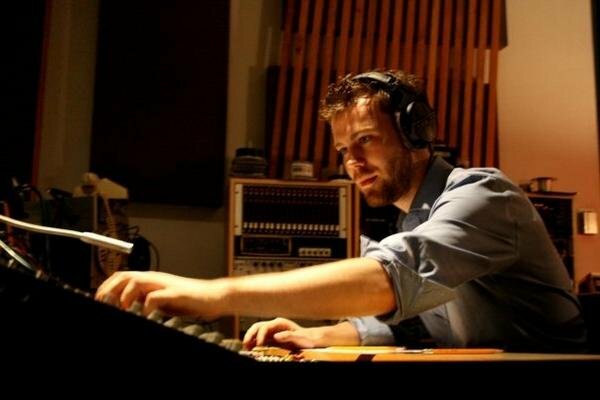 Nathan began his engineering career at Mix One Studios in Boston, working as an assistant to Ted Paduck, while picking up freelance sessions recording jazz and orchestral sessions, including his first credit for EMI with Japanese singer/songwriter Aika Hirahara. In 2006, after his move to to Brooklyn, Nathan took a staff position at Excello Recording. It is here that Nathan continues to make records and gets his bassoon into the mix on such releases as "Angels of Destruction" by Marah and "Troika" by The Isles. In addition to working side by side with Hugh Pool at Excello, Nathan has worked with engineers and producers including Scott Solter, Ron St. Germain, Tucker Martine, Pete DeBoer, Hector Castillo, Ethan Donaldson, Craig Street, Tony Maimone, and Mick Wordley. please visit New York Sound.